When you get a list of upcoming gigs on a tour some of the venues/towns/places immediately stand out, not necessarily for any size, grandeur or history reasons although they do feature highly but more for the quirkiness or for just the ‘I want to go and see that place’ nature of it all. One of those places Id been looking forward to was the town of Biggar. Any town that has a slogan of ‘New York is big but this is Biggar’ really does deserve a wander around. Before we even got to Biggar I saw one of the strangest things I have ever seen in my life. As we were driving up the highway it started to rain. Yes rain in -20C. The science behind it is that raindrops become supercooled as they fall through the atmosphere and then immediately freeze when they hit something. Excusing the pun its one of the coolest things Ive ever seen. Of course the ‘coolness’ doesn’t last very long when the raindrops freeze to your windscreen as you are driving at 100kph. 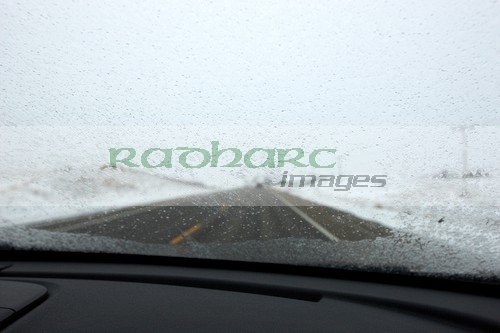 As it keeps falling a glaze then builds up that windscreen wipers are powerless to do anything about. Its a get out and scrape off the ice scenario, which sounds good except that now the supercooled raindrops are now freezing on immediate contact with you. Thankfully the rest of the guys warned me about this and not to have any unexposed skin. Simple stupid wee things like this are making my planned solo trip by Car to Edmonton and then Calgary something of an exercise in paper futility. Looks good on paper and then when you get to the real world you realise that things like forgetting your gloves, getting hit with freezing rain hundreds of miles from anywhere on roads that you may not see anyone for days could really ruin the rest of your life. We arrived in Biggar and we were playing in the Majestic Theatre which like a lot of these towns was the theatre, stage, meeting place, cinema and loads of other things besides. I helped with some of the backstage work, sorted out some lighting and the sound and then left the guys to set up and run through the soundcheck. I wandered up and down this wee town and got talking to some of the local people who were all looking forward to the gig. It was also funny because a lot of the time I don’t get to see my work in context on in public and almost every shop in town had the tour poster in the window and flyers on cafe tables. One other thing that was noticeable and maybe it was because of the accent, the clothing and the shivering that singled me out as a visitor was that regardless of my status I was part of the ‘team’ or as I liked to say ‘I’m with the band’. It felt odd saying that at the start of the tour but by the end it was second nature, oh come on if I’m honest I revelled in it 😉 How many times does anyone get to say that and it doesn’t get boring! All my previous experience with the exception of a couple of my regular clients where I am part of the team is shooting bands and gigs which are part of a tour where the only constant is Belfast or Dublin or Derry or London or whatever. Im there and they pass by, this time they are there and Im the one passing by. I now get the whole ‘why are you taking pictures here’ comments. Every spot I stopped at, took photos in, stood in out of the cold I got asked that. I guess they would go nuts at seeing beaches, rocks, green grass where I’m going nuts at photographing people doing things in snow, wide open spaces and experiencing the cold. Its places like Biggar where you get a feel for humanity, for people. Perhaps I have a bit of a romantic view now of Canada in the winter but here you are hundreds of miles from major help, where people will work together and are a lot more hardy. They value the discussions with people visiting from the outside and everyone has a story to tell, even if you have to draw it out of the Ukrainian ethnicity folk 😉 People here have a lot of pride in their communities and so they should, I cant think of many places back home where people would drag themselves out in such weather to pack a cinema and be so keen on the whole experience. In most places they were coming in before the doors officially opened to have a chat so I was quite busy in the foyer just talking to people. Of course the main topic of conversation in the theatre was the state of the cinema. The cinema was still working off analogue films and they had been told that in about six months analogue distribution would end and the cinema would have to convert to digital or be restricted to the odd niche film showing. Having spent an afternoon walking round this place and talking to people I was beginning to fall in love with the place and before I even thought about it the words ‘well how much exactly are we talking about?’. They told me and said that it might be possible for someone to buy the whole building for a nominal amount if they would agree to refit the place out with digital equipment and sound…. I spent the next hour, the after show meal and the road trip back thinking that I could afford to buy my own cinema. Whilst the 9 year old in me had visions of buying the cinema and then kicking everyone else out I realised that talking about this sort of thing with a crowd of artists wasn’t the best idea in the world. I don’t think there would have been a single one of them that didn’t think it was a great idea! Back in Saskatoon the next day I contacted one of my other friends there, met them for coffee and explained the situation and how it might actually help with immigration if I bought the business. I expected them to try and talk sense into me but all they said was ‘well if it doesn’t work out for you with immigration, I’m Canadian and I will split it with you’. Thanks for that! The only stumbling block is the winter. Keep telling yourself that Joe! 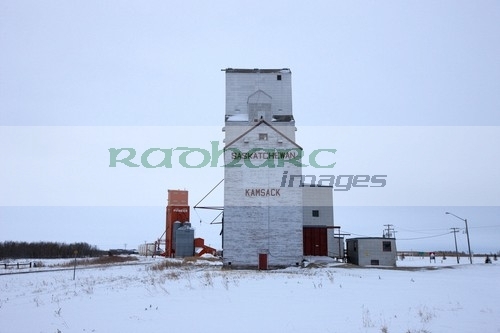 A further stop on the tour was in Kamsack and this is another one of those seemingly very remote places where humans really shouldn’t exist. 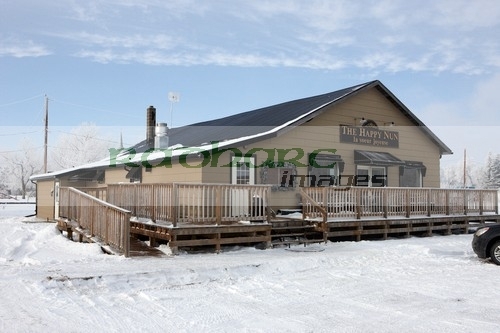 The town itself is about a hundred years old and the non-native settlers were primarily Ukrainians and Doukhobors a religious group of Russian origin farming the area nearby. It was a town born from the railway station and national railway line which runs through the town to this day. It was my first time in a place that was almost deserted and with the eerie blue glow of the midday twilight it felt more like the scene from some horror movie. I couldn’t wait to get out and about but soon came to realise why no-one was walking and people were getting round in snowmobile. Go off the streets and you are up to your waist in snow. It may look like you are climbing a grass bank but two steps later your nuts are in danger of being frozen. It seemed funny at first but another one of those times where you realise that if you fall over they wont find your body until after the spring thaw! The last small town on my stage of the tour was a place called Forget. Forget was the one I scratched my head at when I got the tour dates through. How can a small town with an urban population of 28 sell out a venue once, never mind two nights in a row. Its all down to the location and the venue. Forget is about 3 hours from anywhere big so its the only place with a venue within an hour and a halfs drive so you get everyone within that circle. Then the folk at the Happy Nun Cafe and Music venue who had a dream, bought an old rectory and turned it in to an arthouse, turned the former parish hall and community hall into the happy nun cafe and music venue. Their passion in developing their place as an artistic retreat and their devotion to music and the local community knows no bounds. The food and company is excellent and in a land of excellent food and company that is really saying something. So please, if you are ever in or near Forget Saskatchewan take a run past the Happy Nun and said Joe from Belfast recommended it. Oh and if you get the chance purchase some of their home produced honey. The honey was so good I persuaded them to lock me in and give me free run of the kitchen with the honey and a bottle of whiskey. Hot toddies all round. 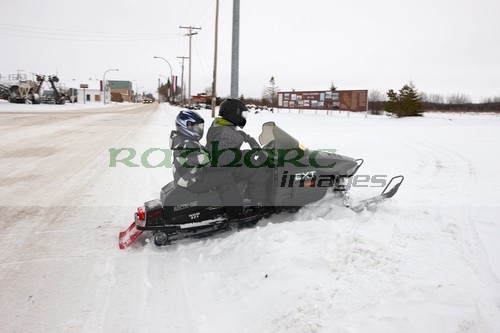 What else are you going to make in -20C and knee deep in snow all round. Beautiful people in a beautiful place and I cant wait to go back.